Users of New Zealand’s NFC mobile wallet Semble will be able to pay for public transport using the app through a partnership with prepaid transit card provider Snapper. The move follows Semble’s launch as a SIM-based payment solution available to nearly one million New Zealanders in March 2015. “Thousands of customers who are already using Semble to make everyday payments can now use their phone to pay for public transport services wherever the Snapper symbol is displayed,” Semble says. “Around 20,000 people are currently using it in approximately 2,000 locations. 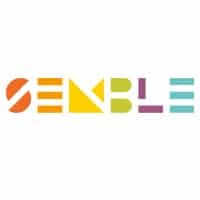 Semble was created in April 2012 as TSM NZ and rebranded in October 2014. The company is jointly owned by Paymark, 2degrees, Vodafone and Spark, alongside New Zealand banks ASB and BNZ. “At launch, we promised a single app offering multiple services to customers,” adds Semble CEO Rob Ellis. “A one-stop shop including payments, transport, ticketing, offers, loyalty cards, all on your phone accessed via a single app. The launch of Snapper in Semble brings us one step closer to that goal.